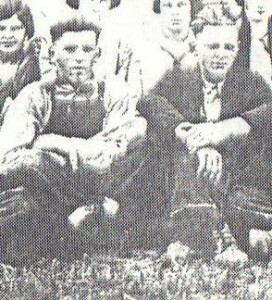 My dad, on the right, with his cousin in 1925. On Father’s Day my own father comes to mind. He was a tall, barrel chested man and strong as an ox. As a farmer he had to use his wits. His generation was the last to use mules to plow and the first to use tractors. The beauty of using mules is that you could only work during daylight, from dawn to dusk. Tractors had lights, so my father could work incessantly.